Kristine Ong Muslim could have titled her new book of poetry “A Collection of Surreal Dreams,” but the title she chose, Lifeboat, is much more personal. Exactly how she achieves this intimacy is mysterious, because the speaker in these poems is so rarely present. The first person singular voice – so prevalent in poetry these days – is almost absent among the strange animals, ghosts and island dwellers who inhabit this collection. Although the speaker appears as the plural “we” the majority of poems, the “I” remains obscured, and, when it does appear, seems as out of place as the individual in the 21st century. Instead of giving us a view of the world centered on a self, Muslim’s poems speak directly to the reader, requiring us to join in her creepy, dangerous visions and created landscapes. Her poems tell us what we “should know” about life and show us how we can “feel it breathe.” I am not generally a fan of the second-person point of view, but it seems warm and comforting in many of these harrowing poems. The universe of these poems is entirely invented by Muslim, but still in response to the “real” modern world. Several poems respond to last-century paintings or photographs (a genre previously well explored by this poet in her book We Bury the Landscape) or name musicians and other writers such as Mahler, Milosz, Darwin. Movie theaters and Styrofoam and dust bunnies exist in these pages. I find a few of these specific references jarring and prefer the mythical and ancient allusions, details of bodies and creatures that exist outside of time. The four-poem sequence, “The Alchemical Stages” reads like an exhortation to experience the aftermath of Hurricane Yolanda, but without a specific reference could be simply a mediation on the dangerous transformations that take place at the boundaries of life and death, land, and water. The second section of the book, titled “Look for the Ferryman,” swarms with images of hell, death, and killing, reminiscent of a journey with Charon. But sometimes the use of the modern is perfect, as in “Posthumous,” which describes tattoos as the “suicide notes on his chest and the back / of his hands.” Boat and water images are prevalent in the earlier sections of the book, replaced by images of land and cities, floors, and windows in the later sections, becoming clocks, bottles, bones, and the beautiful “little pale, sullen bell” (in “Role-Play”) toward the end. Several of the poems allow Muslim to explore the lives of others: a stuntman, a fisherman’s son, a pornographer, prostitutes, and a man who dreams of becoming a perfect bucket (what a great poem!). A longer sequence in the center of the book describes the secret lives of bats, birds, eels, frogs, spiders and snakes—almost the 10 Plagues of Egypt with squeaky voices. They are delightful little poems, imagining lives and deaths of tiny things. The strongest poems in the book evoke a disorienting life-out-of-time landscape. Is this a post-apocalyptic world or the prediction of the catastrophe still to come? “Birds” contains both ice melting and drought; “Horses” imagines the animals as boats “that thump the oceans flat,” then goes on to describe how “their eyes / are bottles of summer, / their panting, a mouthful of snow.” The poem “Mr. Glass Speaks of Continuity,” a scary description of hoarders living under the floorboards, follows immediately after a poem called “He Ate Himself to Death” in which the poem’s subject everyday finds his glass “half-full” – are these poems about hope or giving up? Some poems seem to be about both emotional states simultaneously. Is the lifeboat of the book’s title going to take us to safety or sink? Both possibilities are presented in the book; the reader can choose the outcome. Jennifer Swanton Brown published her first poem in the Palo Alto Times when she was in the fifth grade. In addition to degrees in Linguistics and Nursing, she received her MLA at Stanford in 2012. 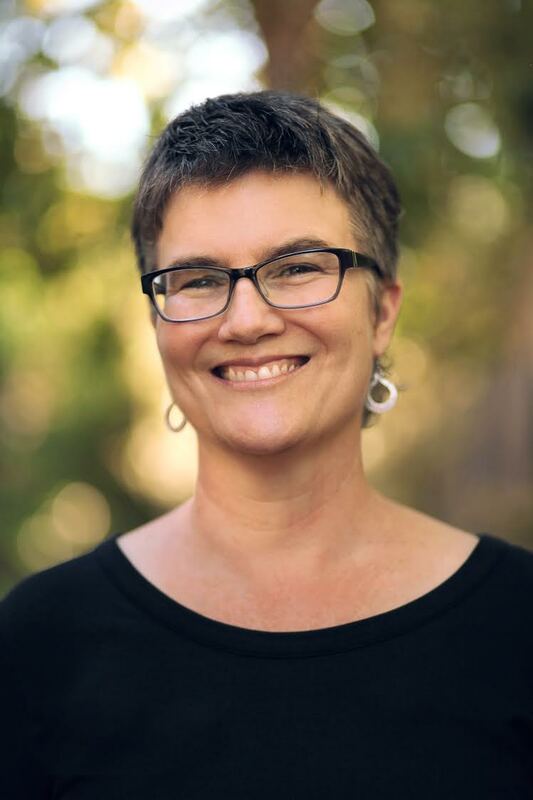 A poet/teacher with California Poets in the Schools since 2001, Brown was the second Poet Laureate for the City of Cupertino (2013-2015). Her poems appear in multiple local journals and anthologies. Visit her at twirlyword.wordpress.com.